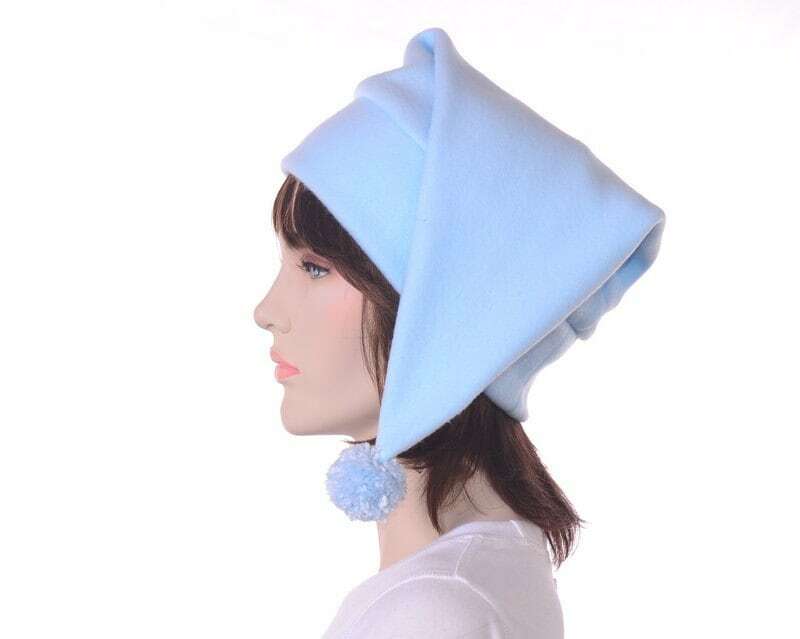 A very light pale blue stocking cap made of fleece. Tip of hat finished off with a pompom that is hand tied. Measure around 18 inches long. Headband is double thick. Can be used as a dwarf or elf hat. Still not right, I can make these hats in pretty much any size and color, convo me and we can work out a custom.